The rift between Colombia’s President Juan Manuel Santos and his predecessor Alvaro Uribe is a welcoming step in Colombia’s development as a democracy. Colombia may almost always have officially been a democracy, but the quality of the country’s democracy has traditionally been very low when measuring along the lines of participation, representation, accountability, transparency and solidarity. Add the fact that power struggles in Colombia have long gone hand in hand with violence, either through competition between political elites, the repression of opposition, or by violently trying to overthrow the establishment. Colombia’s transition from an almost feudal system ruled by elites represented by two political parties to an actually functional democratic state is a work in progress and is long from being finished. In order to reach a quality democracy, Colombia first had to break from a traditional two-party hegemony. 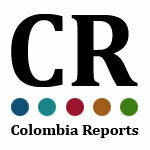 Before the 1991 constitution, Colombia was run, through pseudo-elections, by the Conservative and Liberal Party. Even though this hegemony was officially ended by the latest constitution and a number of armed opposition forces were included to the democratic process, it wasn’t until 2001, when Uribe came into the picture, that Colombia started breaking from its past. First, Uribe broke from his Liberal Party to successfully run as an independent candidate, drawing support from several sectors in society and becoming Colombia’s first independent president. Following those decisive 2002 elections, Colombia entered the process of improving a peaceful participation to politics through democratic opposition. The development of the notion of how to democratically oppose a government or how to democratically deal with opposition is one of the key issues when it comes to further constructing Colombia’s democracy and peace. Uribe’s 2002 – 2010 presidency sparked the development of Colombia’s democratic opposition, at that time led by the centrist Liberal Party and the leftist Polo Democratico. This opposition was primarily parliamentary and couldn’t count on too much popular support to back the legislative resistance to the president’s right-wing policies. Uribe wasn’t particularly professional about dealing with his opposition. In fact, his response to critics was often hostile, authoritarian and aggressive. In the end, Uribe really lost control and his government began violating all legal boundaries when letting his intelligence agency spy on critics and even the Supreme Court. President Santos, while behaving a lot more mature and professional than his predecessor, is still relatively clumsy in integrating a strong opposition to the political landscape, common in many of the world’s democracies. When the sitting president took office in 2010, he formed the “Coalition of National Unity” which, by including the Liberal Party and with the blessing of the controversial PIN, consisted of an astonishing 95%, basically and foolishly eliminating any serious Congressional opposition. Santos’ government in fact returned all the traditional Bogota elites to power, completely ignoring Uribe’s electoral base and returning to the elitist governance Colombia had abandoned when voting for Uribe in 2002 and 2006. The president obviously received little opposition because the opposition occupied only 5% of seats in Congress. So, for criticism on government policies, Colombia had little to expect from Congress. Instead, it had to take protests to the public arena to mend the government’s ways. The first important step towards improving bad policies was the 2011 student uprising which forced Santos to repeal an education reform that received no opposition in Congress. The second important step is the one we are witnessing now; Uribe’s breaking with the powers that be and, through the channels available to him, criticizing what is happening in the presidential palace and congress. The former president’s refusal to retire and his increasingly vocal opposition is a crucial step in the ongoing evolution of Colombia’s democracy. It is vital for the health of Colombia’s democracy that the government is criticized from both the left and the right. With the re-entry of Uribe, Colombia’s political arena now consists of a center-right government with a parliamentary opposition from both the left and a more radical right in Congress. Outside Congress, it is facing increasingly emancipated social movements led by progressive students on the left and Uribe on the right. This means that if Santos and his opposition adversaries on both the left and the right continue acting democratically and peacefully, Uribe’s addition to the opposition will contribute to the further development of Colombia as a plural and functional democracy and will provide the Colombian state with the necessary checks and balances needed to come to good governance.